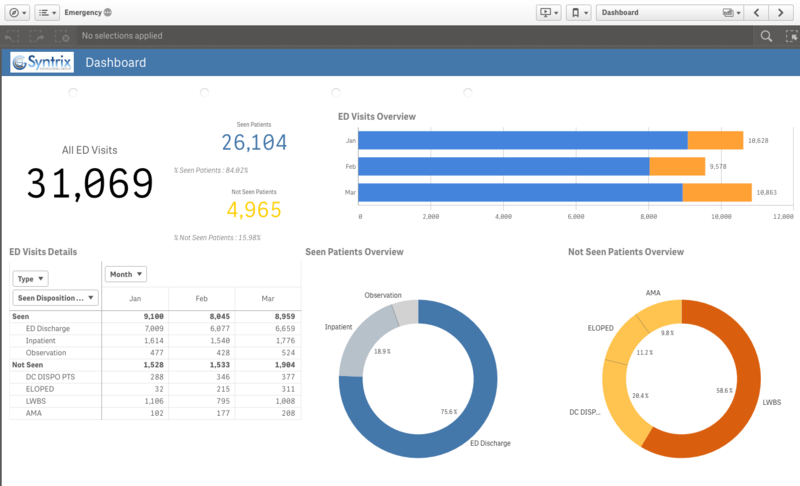 Adopt as is or customize our pre-built applications to deliver your healthcare analytics solutions faster and increase the ROI on your BI investment. 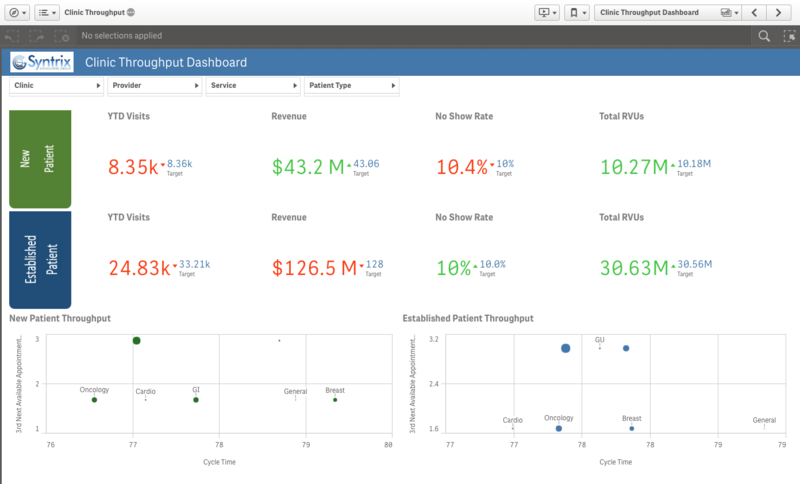 These healthcare dashboards and BI management tools will help shorten you development cycle time and can be used as templates for additional solutions. Are you using more than one reporting or BI system? Streamline your users experience with this single BI Portal that centralizes all reports and dashboards. Users can search analytic content across your full inventory and can request access to content they do not yet have permissions to. The built-in request management functionality also allows BI Managers to manage their team’s workload and track productivity. Other features include data governance, usage tracking, online training, documentation, and knowledge sharing. 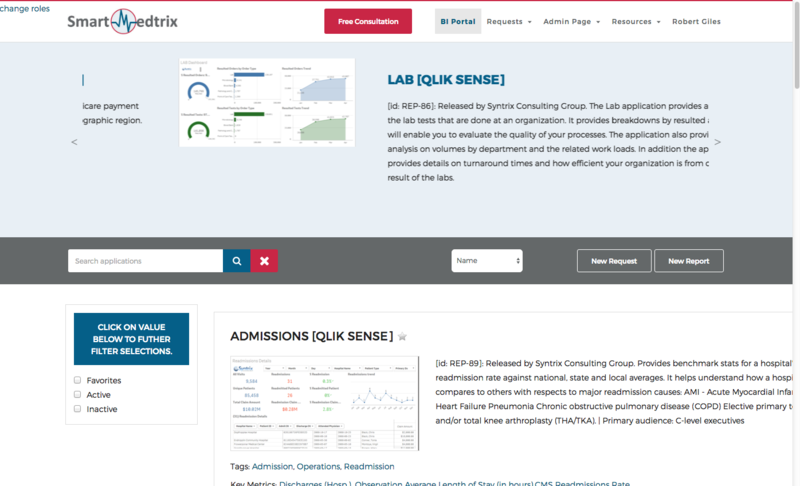 - What reports and dashboards are available for a given topic? - What metrics are used in a report? And how are they defined? - Who has viewed which reports or dashboards? - What reports exist even when I don't have access to them? This application explores the profile of Emergency Department (ED) visits at a glance. It helps assess how crowded the ED is by contrasting patients seen against those that Left Without Being Seen (LWBS). It shows trends in visit volumes and examines operational cycle times to help investigate potential root cause of overcrowding. Key operational questions: - How crowded is the emergency room? - Is crowding getting worse? - Are patients leaving because of higher volumes of visits or longer wait times? - How severe are patients conditions when they come to the ED? This interactive application analyzes Emergency Department (ED) service utilization by demographic factors, financial class, diagnosis, provider, day of week, and acuity. It also supports the comparison of patient-level cost to a cohort-level aggregated cost. - What percentage of ED patients leave without getting treatment? - When are the business months, days, hours for the ED? - What conditions are most patients being treated for? - Which groups of patients experience the highest cost? 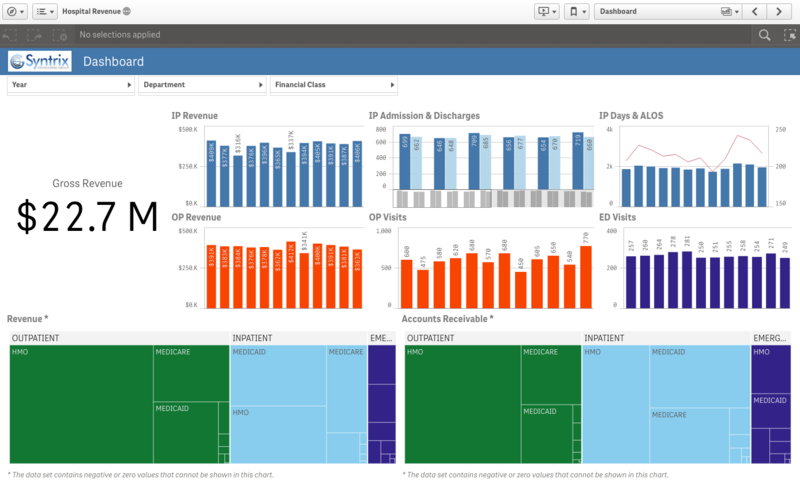 This application evaluates key operational performance metrics for outpatient clinics. It helps assess operational efficiency by OP clinic, service, provider, and patient type (new vs. established). It explores factors that impact patient experience and provides a breakdown of cycle time for each segment of a patient’s visit. It analyzes provider productivity and overall utilization. Key operational questions: - How well are appointment schedules managed for new vs. established patients? - How are clinics performing against their revenue and productivity targets? - Are patients waiting too long to get an appointment? Is their visit experience negatively impacted by long wait times? - Where are the best opportunities to improve cycle time? - What drives variability in provider productivity and performance? This application explores trends and drivers of a hospital revenue. It assesses revenue and AR balance by service and financial class. 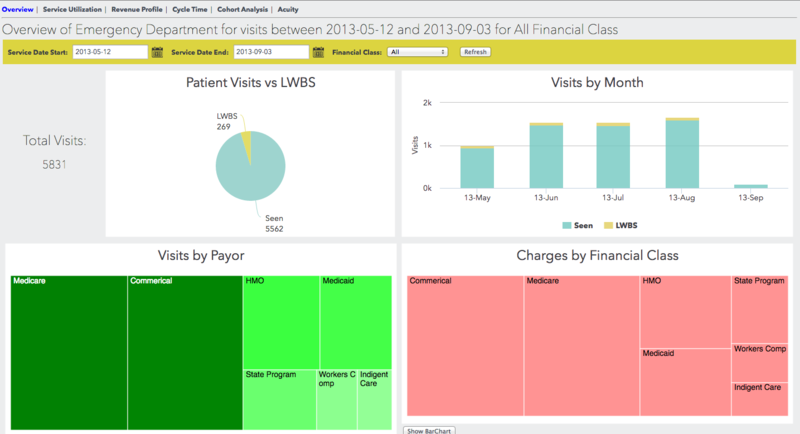 It provides and in-depth view of inpatient and outpatient revenue profiles. It also illustrates the use of an extension to create a MTD | YTD report typically used by Finance departments. - What are the most profitable services for IP and OP operations? - Is IP revenue up because of higher admissions or longer stays? - Which payer has the highest outstanding AR? - What are the top/bottom revenue centers and where are opportunities to further increase revenue?